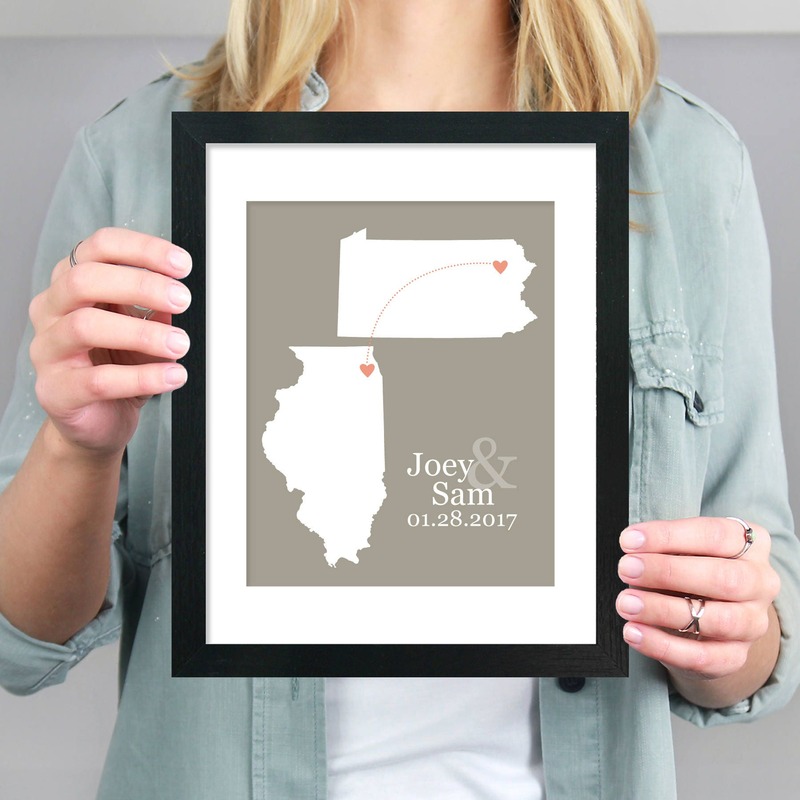 With this art print, featuring two states with your personalized cities joined by a dotted line, you can capture the sentiment exactly. Perfect for engagement gifts, student travel, weddings or just to remind them of home. All states, provinces and countries available. Personalized with name(s), date, and a red heart highlighting the city of your choice, you can’t go wrong! So many of my customers have bought them for wedding gifts, but they are ideal for a child going off to college, a housewarming gift for neighbor/colleague who has moved, or a new baby gift! Purchased this for my sister as a wedding shower gift. It was beautiful! She loves it!